Our superb campsite is surrounded by rolling countryside and perfect for outdoor enthusiasts. 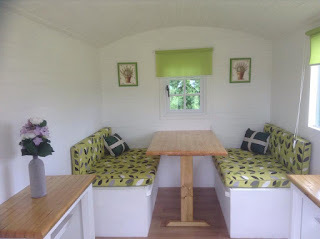 The field is open plan with no marked pitches, allowing visitors the flexibility to set up as they please. We have a limited number of electric hook up points. 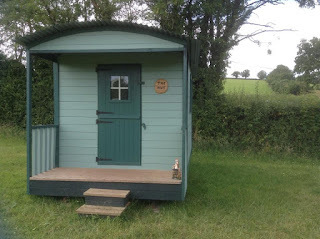 We now have a new shepherd hut available. This is perfect for that extra bit of luxury. Our location makes us a perfect base from which to explore the area. You can explore Dartmoor National Park and enjoy the River Dart and of course the stone Tors that Dartmoor is famed for. With an area of some 368 square miles to choose from, you can still find quiet hidden areas. There around 450 miles of public rights of way here, giving you plenty of walking routes to explore. Some of the better known locations to visit include Haytor, Hound Tor, Dartmeet as well as Princetown with its famous prison and the clapper bridge at Postbridge. Where ever you go you are assured of some amazing scenery and wild rugged landscapes.